Ernest E. Young died quietly at 5:20 p.m. Sunday, March 17, at his home in Tehachapi, Calif., where he lived with his wife, Alice, for 37 years. Alice preceded Ernie in death on April 23, 2018. Ernie was born in Memphis, Tenn., June 9, 1921. He was the last of five boys and four girls born to his parents, George and Florence Young. Ernest "Ernie" was raised during the Great Depression by his mother and sister Virginia as his father died of TB when he was 6. 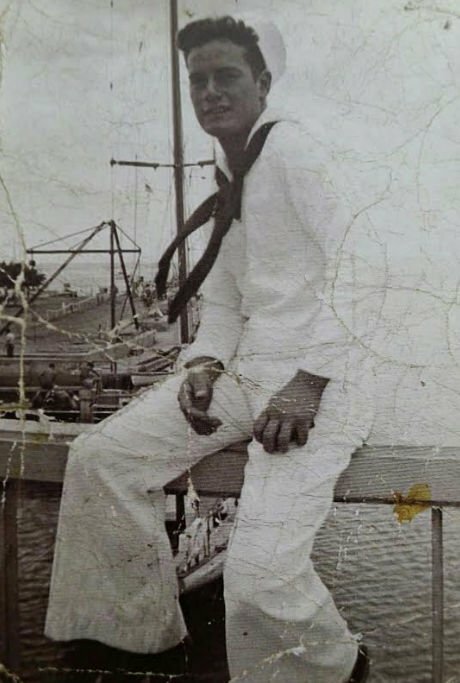 He graduated from high school and joined the Navy in 1939, and was in Pearl Harbor, Hawaii, on Dec. 7, 1941, when it was bombed. 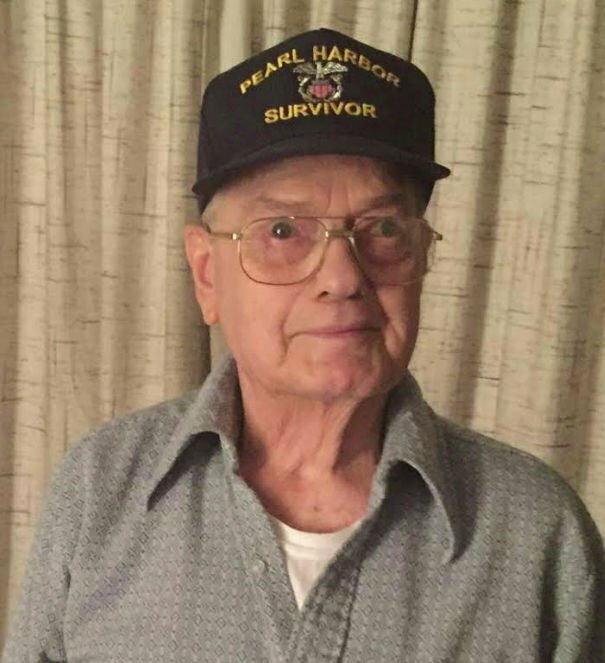 He was passing ammunition aboard the USS Pennsylvania during the chaos. Ernie and Alice settled in California, first in El Monte then to Quartz Hill, then in 1971 moved to Tehachapi. Both Alice and Ernie retired from Edwards AFB in 1982 and went camping and vacationing often to Lake Mammoth and Santa Barbara. Since the beginning of 2000 they mostly stayed close to home and watched nature shows and the news on television. Ernie is survived by his four sons, Gregory, John, Ronald and his wife Cathy, Richard and his wife Dawn. He is also survived by two grandsons, Daniel and Joseph, and one great-granddaughter, Cora. There will be a chapel service at 10 a.m. April 12 at Wood Family Mortuary followed by beverages and snacks at the adjacent pavilion. The interment will be at Bakersfield National Cemetery on Bear Valley Road in Arvin. This military service will be at 1:15 p.m. April 12. Ernie is one of the warriors of World War II, a breed that went to the battlegrounds around the world to preserve our freedom and are now mostly gone like the proverbial old soldier who just fades away. Ernie may have been the last of the Pearl Harbor survivors in Kern County. So as they fade away, let us not forget them and what they preserved for us. How many of our young people even know about "the day that will live in infamy" ... may you rest in peace, Ernie.